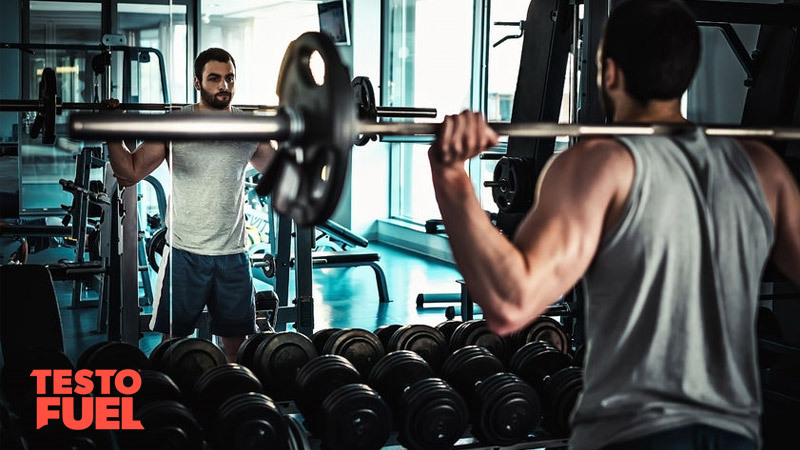 It seems like each week there’s a new training system hits mainstream gyms – and whilst the majority of these systems help to progress your physique, they don’t often last the test of time. Many of them quickly get forgotten in favor of the next, more popular system. Some training protocols are so good though that they stay around for years. German volume training is one of those systems. German volume training (GVT) has been around since the 1970s. Pioneered by National weightlifting coach Rolf Feser, it quickly became the go-to system for gaining lean body mass and dropping body fat during the off-season. Sometimes referred to as the 10 sets method or the 10 by 10 system, weightlifters would often pack on so much muscle that they would move up in competitive weight class – putting 2lbs of muscle on per week and as much as 10lbs in 6 weeks. With the politics of weightlifting around this time, the protocol was somewhat forgotten. It wasn’t until the 1990s when a well known Canadian strength coach named Charles Poliquin wrote about it in a mainstream muscle magazine. Since then GVT has regained its popularity and stayed with us ever since, quickly becoming a staple training system for anyone wanting to add muscle bulk. The idea behind German volume training is quite simple – choose a big, compound exercise such as a pull, push or squat and complete 10 sets of 10 reps on it. You do this with a weight of around 60% of your 1RM. Simple. However, you only get 60 seconds rest in-between sets, making it feel hard, very quickly. It is essentially an effective way of making a light weight feel heavy. German volume training taps into more muscle fibers than a traditional strength training approach. It targets a large amount of motor units, which then in turn switch on more muscle fibres. You can’t stimulate a muscle fiber if it isn’t activated. Once activated, these fibers are hit with a high amount of volume, and this stimulates growth. As the weight you use is quite light, you might not feel particularly challenged within the first few sets – fatigue is very much cumulative. Sets 7 and 8 are usually the worst – and if you’ve ever tried German volume training you’ll know exactly what we mean – lactic acid has peaked and burns like hell! Interestingly, many people experience a short-term nervous system adaptation at around sets 9 and 10 called neural facilitation where it become bizarrely easier than sets 7 and 8. The limited rest times means that as you progress through the system you elevate your lactic acid levels higher and higher. Once lactic acid reaches a certain point, it triggers the release of growth hormone and other anabolic hormones that force the body to adapt by growing bigger. So as much as the burn will hurt, you know it’s doing the job. We’ve already said that you can expect massive muscle growth from GVT, but the benefits don’t stop there. The high volume coupled with the intensity of the training system makes it a great fat burner. You’ll be burning calories throughout your workout and you’ll continue to burn calories well after your session has finished – a process called excess post-exercise oxygen consumption (EPOC). On top of that, the elevated circulating growth hormone levels help your body partition nutrients to where you need them most – this means more nutrients for muscle and less accumulated fat storage calories. As an active tissue, increased muscle mass will boost your metabolism in the long-term too, so the more muscle you pack on, the more efficient you are at burning fat. You’ll find that practicing the same movement pattern over and over allows you to really perfect your technique. Repetition is key when trying to groove out a good pattern so you’ll find that your form will improve too. In saying that though, if your form is poor to begin with you could make it worse if you aren’t careful so only use exercises you are comfortable with and can perform well. Lastly, because you’re hitting such high volume in a short space of time, GVT is a very time-efficient method of training. It suits those with busy schedules, or just those who want to get in and get the job done as quickly as possible. Whilst GVT is great for muscle growth and fat loss, it will do hardly anything for your strength due to the low loads you’re using. If your aim is to increase your absolute maximal strength then this training protocol is probably not for you. Fitting German volume training into an existing workout is quite simple – choose one exercise per muscle group or per workout and take it from there. Don’t do any more than that though initially, or you’ll quickly become overly fatigued. As time passes you can add more exercises in as you see fit. We’d also suggest performing this training system on one body part every four to five days to allow full recovery. Due to the amount of motor unit stimulation and fatigue you can expect muscle soreness like you’ve never experienced before – this can lead to missed sessions if you’re not careful so approach with caution initially. There is also a big endurance factor to this training system, and this is something that many people struggle with initially. As an advanced protocol, GVT pushes you hard so don’t go into it with illusions that it’ll be a walk in the park. If your endurance and fitness aren’t too great then you might benefit from dialling in the volume for the first couple of weeks. German volume training (GVT) is an advanced muscle building training protocol famed for its ability to add lean mass in a short space of time. Originating in German weightlifting circles, this approach was made popular in the 1990s by strength coach Charles Poliquin. It is simple in its set up, but provides the participant with not only muscle mass, but fat loss and endurance gains too.